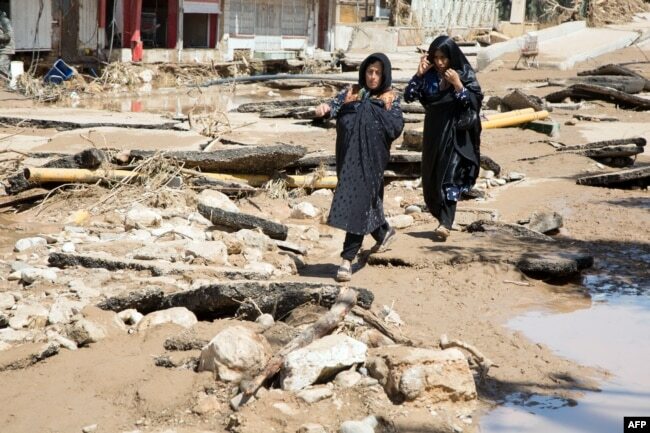 Iranian authorities have ordered the evacuation of six more towns in the southwestern province of Khuzestan, which is widely inundated with floods, state TV reported Saturday. Evacuation orders came as a new round of rain and floods is expected. Interior Minister Abdolreza Rahmani Fazli told state TV that about 400,000 people are at risk out of the province’s population of 5 million. Eleven towns and scores of villages have been evacuated. There have been no evacuation orders for major cities, including the province’s capital of Ahvaz, which has 1.7 million residents.